Gravetye Manor was originally built in 1598 by Richard Enfield, the son of a local Sussex family for his bride Katherine Compton as their not-so-modest first home. 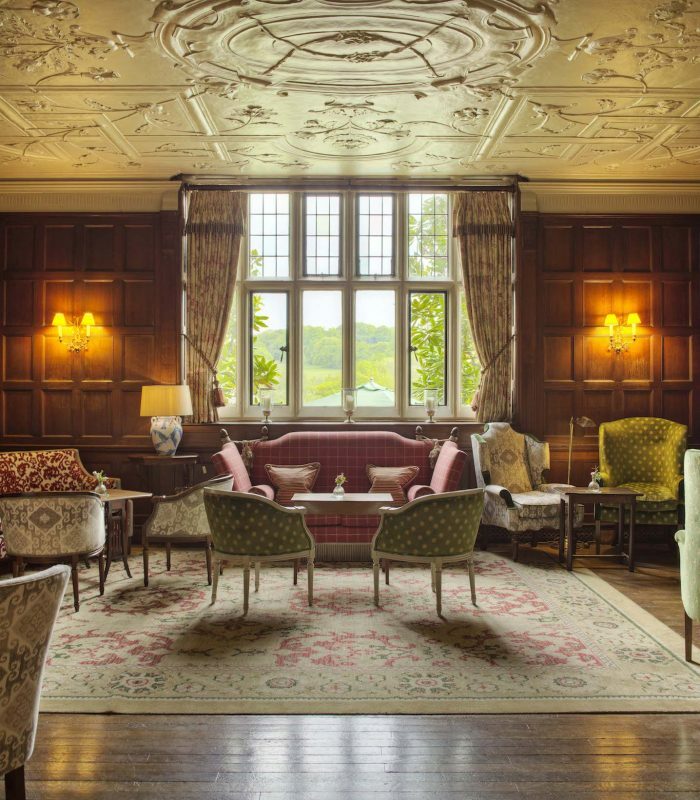 The historic manor has since become a hotel and has a Michelin starred restaurant set in more than 1,000 acres of tranquil English countryside just a 30 mile drive from London. The manor has belonged to influential owners in the past few hundred years, the most notable of whom is William Robinson who lived at Gravetye from 1884-1935 and is recognised as one of the greatest gardeners of all time. Having worked on formal gardens and a renowned expert in planning, planting and landscaping, William wrote books on his findings and work that are still being read today. 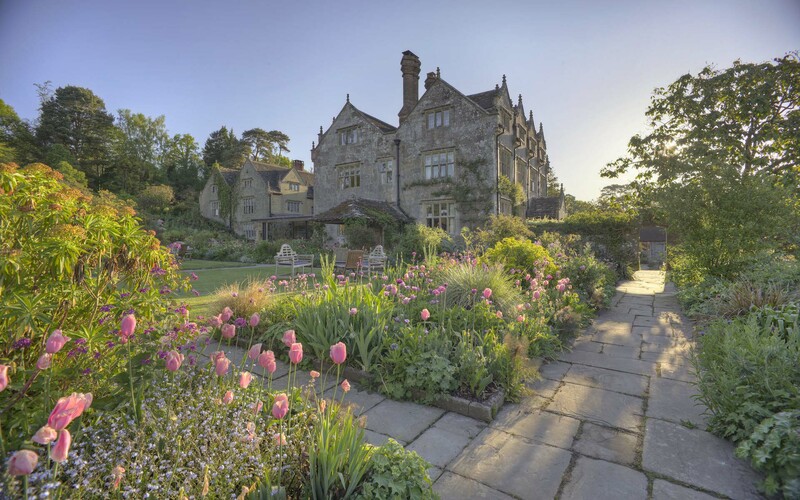 In 1958 Gravetye Manor saw the arrival of Peter Herbert who focused on expert hotel keeping and a first class restaurant experience ensuring that the manor was recognised throughout the world for being the very best kind of country house hotel. Finally in 2010, the hotel came under the ownership of fund manager Jeremy Hosking and his wife Elizabeth…. Together the couple carefully and sympathetically restored the manor to its former glory with their own personal touches subtly included throughout: “Gravetye has been and still is a special place for Jeremy and I. We celebrated our wedding night here many years ago. Since buying Gravetye in 2010, we have undertaken a number of restoration projects in the hotel itself and the gardens. Both Jeremy and I were, as indeed were all the staff, incredibly keen to keep Gravetye’s heritage alive and not erase it. There is something magical about the manor and its gardens that comes from more than bricks and mortar. It is an intangible quality that arises, I believe, from all that has taken place here over the past 420 years” – Elizabeth Hosking. The manor has 17 cosy rooms and suites to choose from that are filled with restored antiques, original paintings and quirky period features. 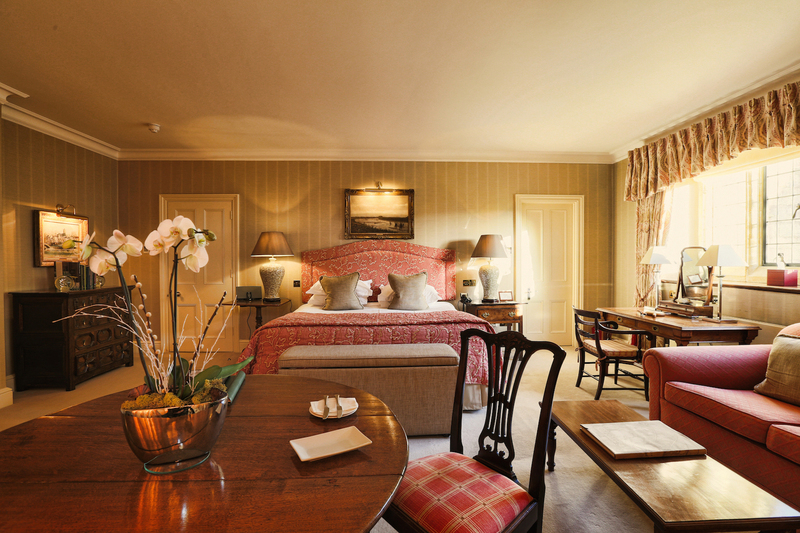 Each room is named after trees grown in the garden and when you arrive in your room, you are greeted with freshly picked flowers from the garden. 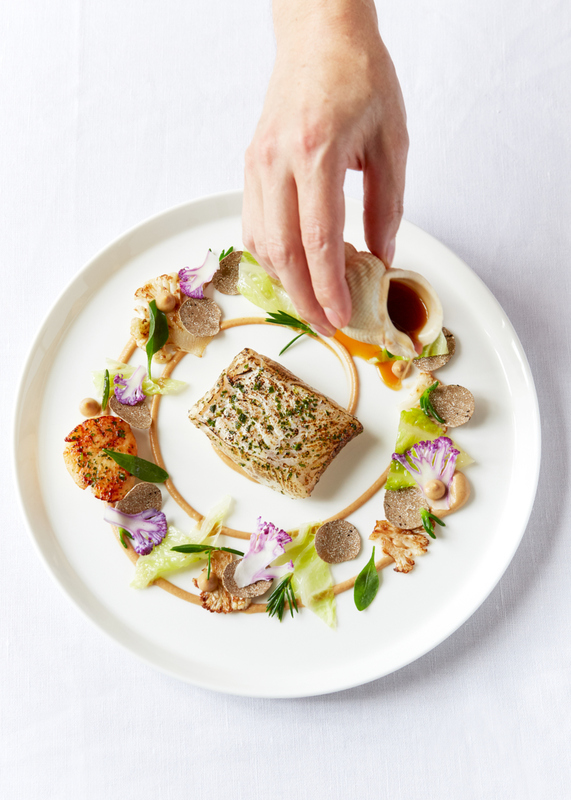 Opening in May 2018, Gravetye Manor’s Michelin starred restaurant is set in a newly designed space with floor to ceiling glass walls that provide uninterrupted views of the gardens. 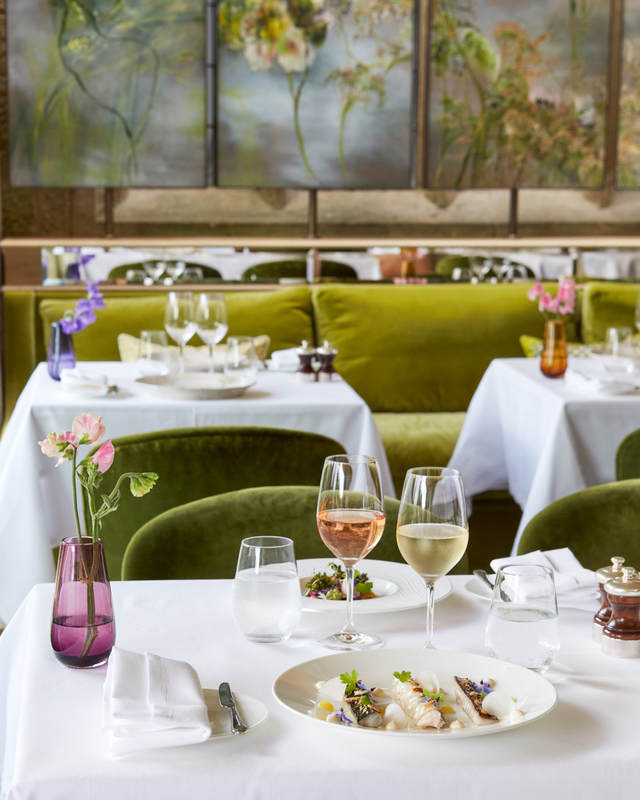 Head Chef George Blogg creates menus that are greatly inspired by the ever changing seasons using ingredients from the garden or locally sourced by trusted suppliers. Created in 1898 the kitchen garden is really where the magic happens. 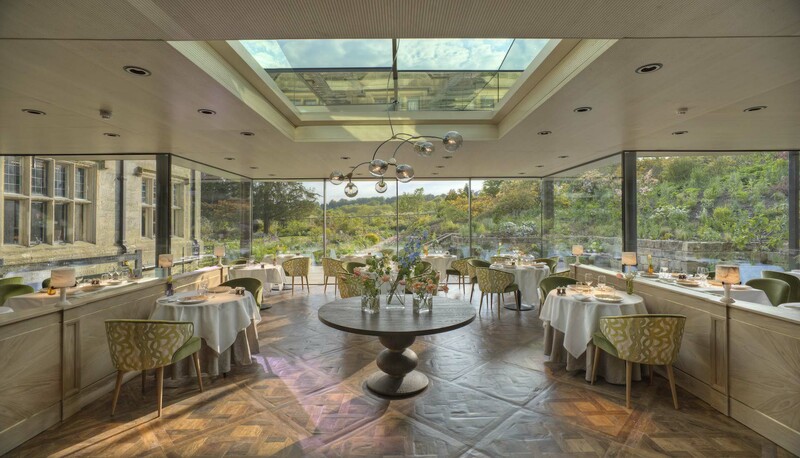 Everything grown in the kitchen garden is used in the restaurant bringing vibrant dishes to life with deliciously fresh seasonal flavours. Two acres of land at Gravetye are orchards made up of generations of planting with the oldest trees dating back to when Williams Robinson owned the estate. 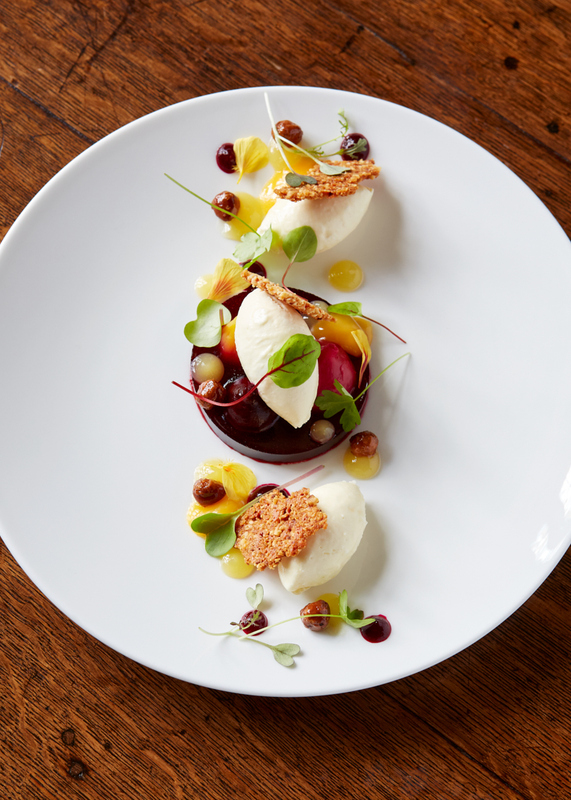 All the fruit grown in the orchards are either used by the manor’s head chef for dishes served in the restaurant, or made into juice which is served to guests with breakfast. The flower garden was originally a place where William Robinson played with ideas with different flowers, creating a mixed border. Today the flower garden is given the same care and attention and the team use successional plantings of annuals and tender perennials mixed with herbaceous perennials and shrubs to show a beautiful display of flowers right up until the cooler months bring the first frost. The meadows around the manor are a rich mix of wild flowers that blanket the nearby landscape in blooms. The array begins in February with snowdrops and crocuses which is then followed by daffodils and blue Scilla in March. By April wild tulips, camassia and other beautiful bulbs cover the meadows and then in May, native flowers are in full bloom right through until September. The croquet lawn contrasts greatly to the wild garden on either side. It is a calm quiet place not just designed for croquet, but also for badminton, short tennis or the perfect place to sit on the lawn in the sunshine with a good book. 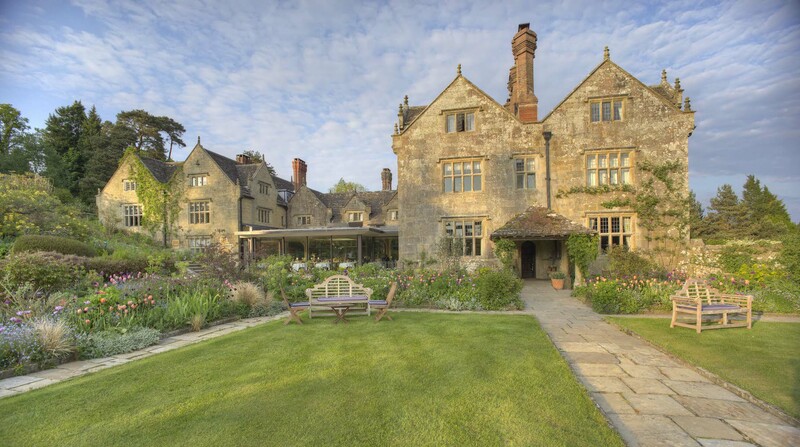 Whether you are looking for a summer break or a cosy winter escape, Gravetye Manor is the perfect place to be. To find out more information on this visit the website here. 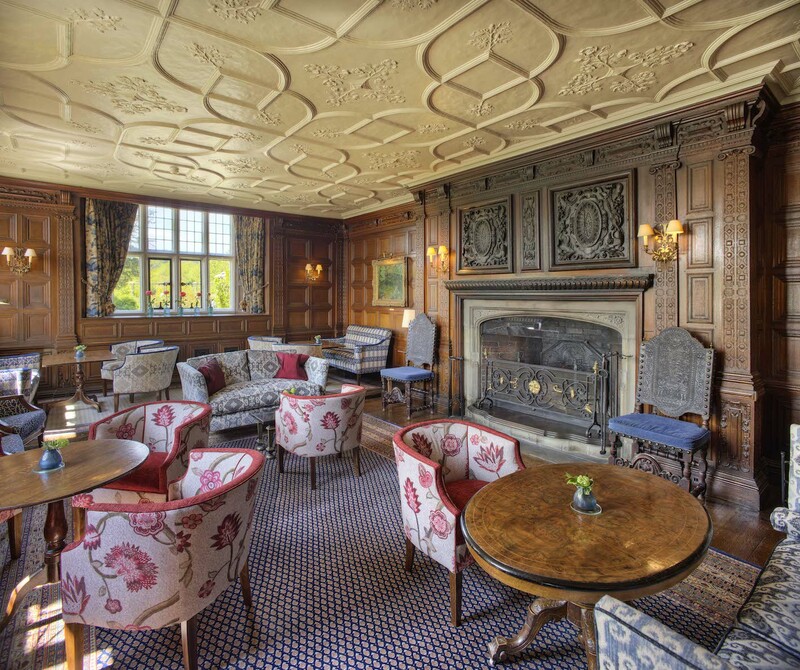 Images kindly sent by Gravetye Manor.